Golf Club Trier Hole 9: The finishing par 5 hole to the front can be reached in two if a solid drive is hit. The approach to the green will be over a lake that does not much come into play, but does enter the golfer’s mind. The green is large, but any shot too far left will find hillside or tree filled hazard. Golf Club Trier Hole 14: Incredibly tough, this par 3 is well over 200 yards long and has a lake left and behind the green. The bailout is obviously short or right of the green, but par is a very good score. 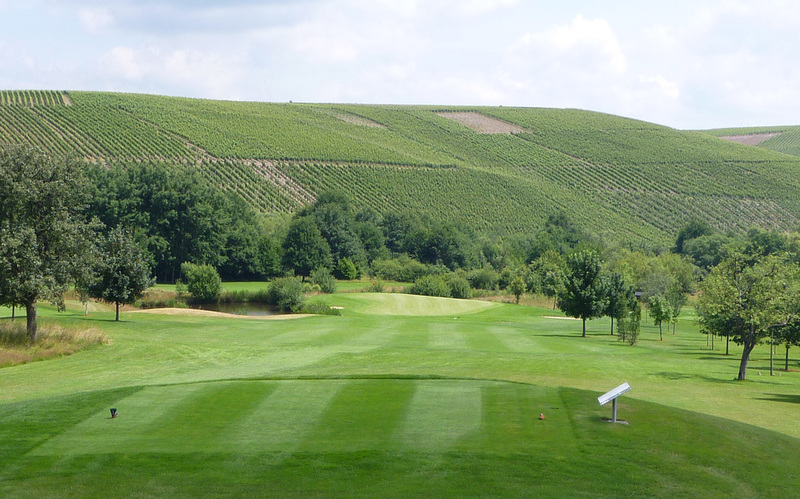 The backdrop of the vineyards is spectacular from the tee and any shot left will make the player want to start drinking. Read More European Golf Course Reviews.